ArcGIS Full Motion Video (FMV) add-in enables you to quickly and easily analyze video data within your ArcGIS environment, whether captured from drones, manned aircraft, or other platforms. Work for ArcGIS Full Motion Video? 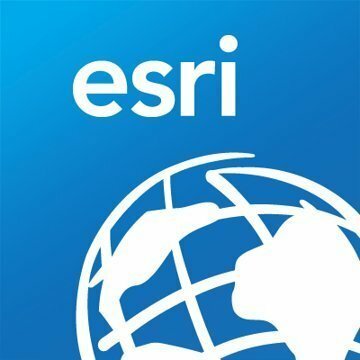 Learning about ArcGIS Full Motion Video? What Other Video solution do you use? Renderforest is an online video production platform which allows individuals and businesses create broadcast quality videos for private or business use. Deliver brilliant video content for web, broadcast and cinema with Media Encoder CC. Tight integration with Premiere Pro CC provides a seamless workflow, including handy presets for a broad range of formats. Reflector 3 combines the capabilities of Apple TV, Chromecast and Windows devices to create a powerful, all-in-one mirroring receiver. It allows users to wirelessly mirror their iOS, Chrome OS, Android and Miracast devices to a larger display for everyone to see. The all-in-one system for video and movie planning. Work together to write the script, prepare the shoot, and take your cast and crew into production. This is a simple tool for cutting long video files into shorter ones. With it, you can cut a clip from a movie or video of various formats and save the clip in four alternative formats. By the way, the hand-drawn interface is very cute. Adobe Prelude is an ingest and logging tool for tagging media with metadata for searching, post-production workflows, and footage lifecycle management. Privately upload, review, and share media with your entire team, anywhere in the world. * We monitor all ArcGIS Full Motion Video reviews to prevent fraudulent reviews and keep review quality high. We do not post reviews by company employees or direct competitors. Validated reviews require the user to submit a screenshot of the product containing their user ID, in order to verify a user is an actual user of the product. Hi there! Are you looking to implement a solution like ArcGIS Full Motion Video?